(TibetanReview.net, Dec09, 2016) – The Intermediate People’s Court of Ngaba (Chinese: Aba) Prefecture at Barkham (Ma’erkang) County has on Dec 6 given jail terms ranging from 6 to 14 years to 10 Tibetans for their involvement in celebrations marking the 80th birthday of Tibet’s exiled spiritual leader, the Dalai Lama, last year. The 10 have been give jail sentences ranging from six to 14 years, said Dharmashla-based Tibetan centre for Human Rights and Democracy Dec 7. The sentenced people were reported to include four monks, two former monks, two each of laymen and laywomen. The sentences were reported to have come after prolonged incommunicado detention of the 10 Tibetans. Those most heavily sentenced were reported to be people who had only recently been released from prison after being jailed for their involvement in protests against Chinese rule. 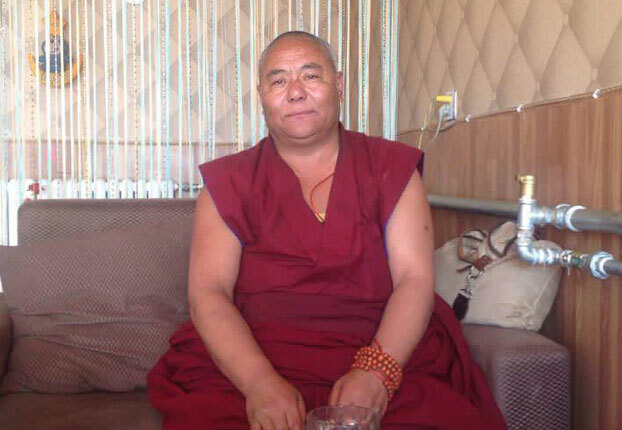 Monk Dukdra, 50, was given 14 years for organising a public picnic to celebrate the Dalai Lama’s 80th birthday in Ngaba. He was taken away from his living room at Kirti Monastery in the night around the end of Nov 2015. He was earlier jailed for one year and four months for his role in the 2008 protests in Ngaba. Another Kirti monk, named as Lobsang Khedup, 44, was jailed for 13 years for creating a WeChat group for local Tibetans wishing to offer prayers for the Dalai Lama’s 80th birthday. He was held in Dec 2015 and had earlier served three years on unspecified charges in 2011. Yet another Kirti monk, named as Lobsang Gephel, 12, was jailed for 12 years. He was taken away in the night of Nov 30, 2015 and had earlier been jailed for three years after being held in May 2011. Bhonkho Kyi, a 48-year-old laywoman, was jailed for seven years for having helped to organize a public picnic to celebrate the Dalai Lama’s 80th birthday. She was taken in around Nov 20. She was previously detained around 20 Nov 2015. She was previously held on unexplained charges for several months over the period of 2011-12. Former Kirti monk Akya-kya, 35, was given five years for having joined a WeChat Group that discussed and exchanged information about the Dalai Lama’s 80th birthday celebrations and for later having thrown a Tibetan-style outdoor picnic to celebrate the occasion. He was earlier held in 2011 in connection with the self-immolation of a man named Lobsang Phuntsok for which he was jailed for three years. Another Kirti monk, named Lodoe, 41, was jailed for nine years for the same involvement as kya-kya. He was held on Nov 18, 2015 and had previously been jailed for three years following his arrest in Oct 2011. The centre said four other Tibetans from Ngaba were also sentenced. Tsultrim, a former monk from Dowa Village in Trotsik (Hezhi) Township, Ngaba County, was jailed for six years. Two other men, Tsendra and Tsultrim, received eight and six years, respectively. Besides, a laywoman named Tarey Kyi got eight years. It was not clear what these Tibetans were charged with to earn such long prisons terms. The centre speculates that they were likely sentenced for allegedly ‘inciting separatism’ and disturbing public order. They were all said to be held in a prison in Lunggu (Wenchuan) County of Ngaba Prefecture, Sichuan Province.